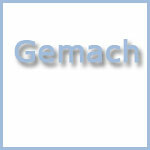 Listed in: Gemachs and Shtick categories. You can rent out the shtick by making a donation to Ohr Naava. For those who can't afford a donation, the Gemach will loan the shtick for free. There is no cost to the kallah for using the gowns. Donations are accepted and go toward the upkeep and housing of the gowns, as well as Ohr Naava and kallah needs. Get more for your wedding! Don't forget to mention ChossonKallah.com when visiting Ohr Naava Wedding Gemach.